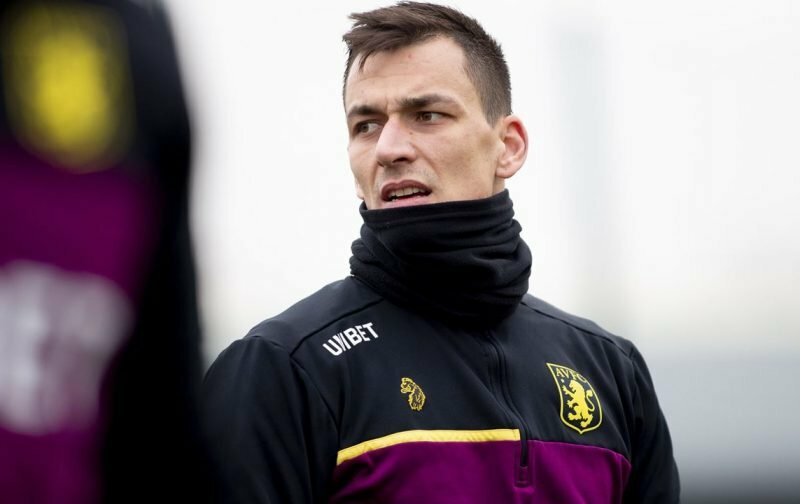 Eagled eyed Aston Villa fans have been wondering where Croatian international goalkeeper Lovre Kalinic has been of late. Having arrived in the January transfer window for a reported £5.5million (rising to £7m) from Gent, the 29-year-old has eight appearances to his name, and although he hasn’t been spectacular, he was steady enough for most who accepted he would get better the more he settled into the club and adjusted to our game. Having taken a blow to the head in the West Bromwich Albion game, he picked up another injury whilst on international duty in March so we haven’t seen him since mid-February. Jed Steer has stepped up admirably and is now the No 1, but with news a few weeks back stating that Kalinic had returned to training, his omission from the substitutes bench has confused many, as young talent Matija Sarkic took the spot. It certainly came as news to me today that Kalinic has now undergone surgery – Official Site. Smith explained that his five week absence had been down to an operation on his knee, but he is now expected back, once again, before the end of the month.